Banana fruit is one of the most popular plants for people everywhere. This wonderfully sweet with firm and creamy flesh fruit is cover with its own yellow jackets and is available for all harvest time in the whole year. Banana has supposed to be a common fruit, which are selling in every market, super market and even small mart, but what good about bananas? Why people keep eating it as a regular fruit? Does it provide so much more for their health? To be clearly, we shall look at health benefits of bananas. Without paying dramatic crash to buy a sugary snack, or drinking caffeine, you can get enough energy to workout for an hour and a half just by eating two bananas. Bananas are a wonderful source of natural energy, because of the abundance of vitamins and minerals. It can helps to minimizing the loss of calcium from the body and reduce the risk of osteoporosis. Bananas have highly potassium content that are benefit to suppressing calcium excretion in the urine and therefore reduce the risk of kidney stones. By include a banana in your diet in dairy, would take you a step closer towards getting your daily recommended dose of potassium. A high dose of potassium is an essential ingredient to keep your heart and nervous system in good shape. In addition to banana health benefits, they can also help you with your mind. Bananasaver.com discusses a study with 200 students who were asked to eat one banana three times a day – breakfast, recess and lunchtime – along with their normal meals. What they found was that the potassium in the bananas boosted their brainpower and made them more alert during their classes while they followed the regimen. Because of potassium in the bananas boosted brainpower and made more alert during time while followed the regimen. The rich of potassium in bananas can help the body’s circulatory system deliver oxygen to the brain. Help to reducing strokes, regulating blood pressure, also maintaining a regular heartbeat and maintaining a proper balance of water in the body. This is a recommend fruit for the child, who just recovering from gastrointestinal problems, particularly diarrhea, because bananas are binding food that makes the stool harder. As we all know, bananas have a certain type of fiber that helps to restore and maintain regular bowel functions, thereby they can help stop constipation without casing other bowel problems such as diarrhea. Tryptophan-a chemical that have in Bananas, this contains a level of protein, which can helps your mind to relax and feel much happier than normal. Bannanasaver.com had show that, people who are depression often get better after eating a banana. It is just like a miracle, that bananas have amazed health benefit to cutting down nicotine, which has highly level in smokers. Minerals like potassium and magnesium and vitamin B6 and B12 in bananas help to reduce and quit smoking. Are you having problem with anemia? 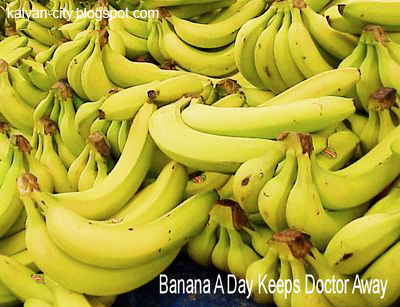 So, let try one banana in daily, soon you will realize anemic conditions have decreased. Yet bananas are very rich in potassium but also rich in iron, thereby it helps in anemia’s conditions. When there is an itching or swelling due to mosquito bite, go to use banana peels replace of using creams, by just rub the itching or swelling area with the inside of bananas peels. Soon you will get relief of how effective of these simple bananas peels. Not even can helps in itching of mosquito bites, but banana peels also benefit your garden. Don’t throw the peels away. If you have a certain plant that you want to blossom, simply bury a few peels next to it by the roots. Then you will see the result in a few weeks, the plant will be huge. Bananas help to decrease the level of acidity that some foods can leave in the stomach. They reduce the irritation of the digestive system by leaving a protective coating around the inner walls, promoting intestinal health in a natural way. Because of their calming properties, woman who is pregnant should often eat bananas in daily. It can combat her morning sickness and replenish the body and restore a healthy blood glucose level, moreover help regulate temperature of pregnant woman. To reduce menstrual pains, it is a good way for woman to eat bananas, because of its level of vitamin B6 that helps to regulate blood glucose level and help her overall mood. For sure, everyone will start a new habit of having bananas as his or her diet with the expectation of having a healthy health. ” Banana A Day Keeps Doctor Away “. You might have heard similar statement like this but it was never for a Banana else is linked completely with an Apple. Today research proves that eating bananas is much more beneficial than eating Apples. Banana fruit is a nutritional rich food nature has offered us to maintain a good health. Bananas helps us in healing and reducing the risk of many ailments. This wonder health article will explain you, “Why Banana should be an important part of your daily diet ? “. Lets find out major health benefits of eating Bananas. Read more about Bananas in here BANANA INFO. If you want a quick fix for flagging energy levels there is no better snack than a Banana. Banana’s three natural sugars Sucrose, Fructose and Glucose which when combined with its fiber gives an instant, sustained and substantial boost of energy. Research has proven that just two Bananas provide enough energy for a strenuous 90 minute workout. But energy supply is not the only way a Banana can help us remain fit. It can also help overcome or prevent a substantial number of other illnesses and conditions. People suffering from depression, feel much better after eating a banana. This is because bananas contain Tryptophan, a type of protein that the body converts into serotonin known to make you relax, improve your mood and generally make you feel happier. PMS Forget the pills just eat a banana. The vitamin B6 which banana contains regulates blood glucose levels, which can affect your mood. High in iron, bananas can stimulate the production of hemoglobin in the blood and so help in cases of anemia. Bananas are extremely high in potassium yet low in salt making them perfect to beat blood pressure. Research has shown that the potassium packed fruit like Bananas can assist learning by making pupils more alert. High in fiber, including bananas in the diet can help restore normal bowel action, and helps you overcome the problem without resorting to laxatives. One of the quickest ways of curing a hangover is to make a banana milk shake, sweetened with honey. The banana calms the stomach and, with the help of the honey, builds up depleted blood sugar levels, while the milk soothes and re-hydrates your system. Bananas have a natural antacid effect in the body so if you suffer from heart burn, try eating a banana for soothing relief. The Banana is used as the dietary food against intestinal disorders because of its soft texture and smoothness. Banana is the only raw fruit that can be eaten without distress in over chronicler cases. Banana also neutralizes over acidity and reduces irritation by coating the lining of the stomach. Many other cultures see Banana as a cooling fruit that can lower both the physical and emotional temperature of expectant mothers. Potassium is a vital mineral, which helps normalize the heartbeat, sends oxygen to the brain and regulates your body’s water balance. When we are stressed, our metabolic rate rises, thereby reducing our potassium levels. These can be re-balanced with the help of a high potassium Banana snack. Eating Bananas as part of a regular diet can cut the risk of death by strokes by as much as 40 per cent.